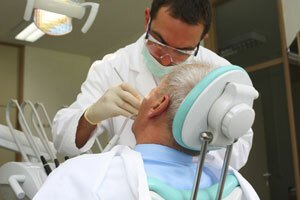 Nano-sized advance toward next big treatment era in dentistry. Contrary to previous assumptions, electrons are catapulted out of an atom during photoemission with a delay. The American National Standards Institute (ANSI) and the ANSI-accredited US Technical Advisory Group (TAG) to ISO/TC 229, Nanotechnologies invites all U.S. interested stakeholders to provide input on a proposed draft Technical Specification (TS) that addresses the labeling of manufactured nano-objects and products containing manufactured nano-objects at an upcoming webinar, scheduled for Friday, July 9, 2010. Researchers are exploring the capabilities of diamond nitrogen vacancy materials. In this material, a molecule at the heart of an artificially created diamond film consists of a nitrogen atom (present as in impurity amid all those carbon atoms) and a nearby vacancy, a place in the crystal containing no atom at all. These diamond structures offer the possibility of carrying out data storage and quantum computing at room temperature. New research details the production of highly stable glass films of indomethacin by physical vapor deposition. Researchers used alternating current nanocalorimetry to evaluate the heat capacity of the thin glass films. According to Maxime Darnon, a researcher at the French National Center for Scientific Research, in order to continue increasing the speed of integrated circuits, interconnect insulators will require an upgrade to porous, low-dielectric constant materials. 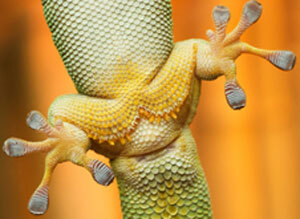 Inspired by the ease with which gecko lizards can move on almost any surface, researchers at Northeastern University, the Korea Institute of Science and Technology and Seoul National University hope to reproduce properties found in the gecko's footpad for applications ranging from adhesives to robotic movement and navigation. Making better solar cells: Cornell University researchers have discovered a simple process - employing molecules typically used in blue jean and ink dyes - for building an organic framework that could lead to economical, flexible and versatile solar cells. Scientists of the QUANTUS-Project probe principles of General Relativity on quantum systems. Photoemission has been explained as a process in which an electron is instantly ejected from an atom after the atom absorbs energy from a photon. Now, EU-funded physicists have shown that this does not happen immediately. In proving that there is a delay after the photon impacts the electron, the team has succeeded in measuring the shortest time ever to be recorded in nature. Abstracts for contributed talks and posters are now being accepted for the International Workshop for Scanning Probe Microscopy for Energy Applications in September. Im Rahmen der Nanofair findet am 8. Juli 2010 ein Unternehmer- und Fachworkshop zum Thema 'Nanotechnologieanwendungen im Bereich Energie und Energieeffizienz' statt. Extreme ultraviolet lithography (EUVL) is the semiconductor industry's best bet for extending Moore's Law and its inherent advantages make it an increasingly preferable choice for next-generation patterning, ranking technologists agreed at the 2010 International Workshop on EUV Lithography. Forget surgery. One team of Kansas State University researchers is exploring nanoparticle-induced hyperthermia in the battle against cancer. A Tel Aviv University team, part of a European consortium, is delving deep into human behavior, neurophysiology and engineering to create a chip that can help doctors wire computer applications and sensors to the brain. The chip will provide deep brain stimulation precisely where and when it's needed. Drug delivery system hits tumors but spares kidneys.